Biodiversity is the variety of life in the world or in a particular habitat/ ecosystem. In the past years, biodiversity has been lost by population growth, habitat destruction, and wildlife trade. 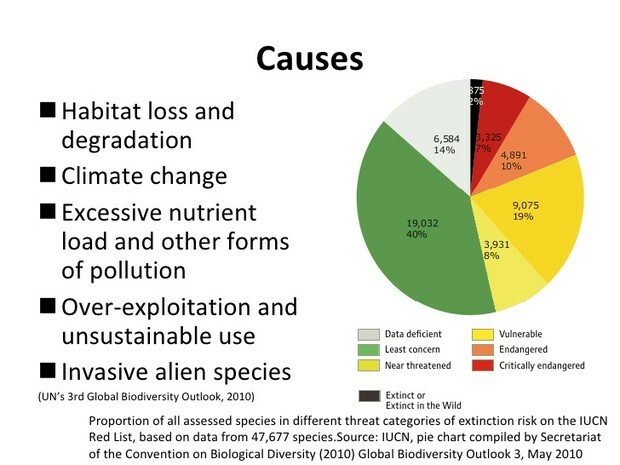 These typically are the most common ways Biodiversity is lost. - Climate changes affect how the organisms living in that ecosystem because different organisms are more fit for different ecosystems. - Deforestation destroys homes and habitats for organisms, and forces the animals to move elsewhere.